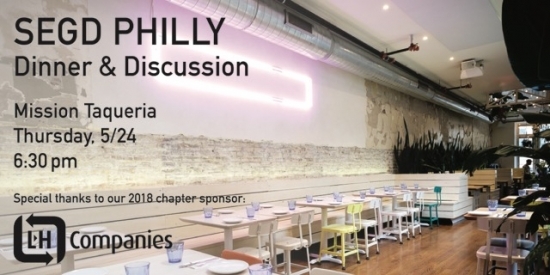 Join SEGD Philadelphia for an intimate dinner and conversation about what's next in our industry and the challenges we see ahead. If you didn't make this event in the spring, then you don't want to miss this one — GREAT FOOD, GREAT COMPANY and GREAT CONVERSATION! Thanks to our Annual Sponsor L&H Companies and our Event Sponsor Walton Signs for helping us make events such as these possible. 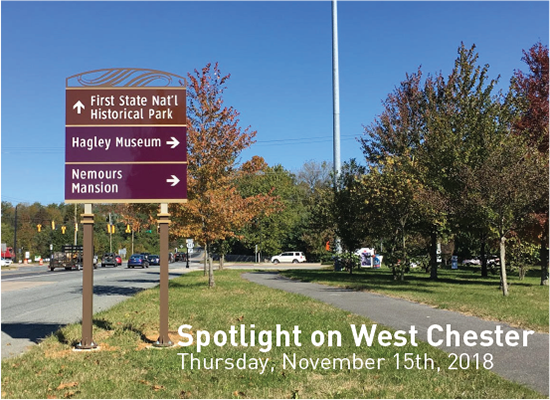 Join us for a presentation from our members in West Chester! MERJE and their client, the Brandywine Valley will talk about their wayfinding program with us. Following the presentation there will be drinks, bites, and networking. We are hoping to see some new faces this time as we venture outside of the City. Click here for tickets. Thank you to L&H Companies, our 2018 annual sponsor for helping support this and all of our events through out 2018. Join us during DesignPhiladelphia for a free Rail Park Tour with Cloud Gehshan, Studio Bryan Hanes and Urban Sign and a chapter mixer at Roy Pitz Barrel House. Thank you to our annual sponsor L&H Signs for their support of our chapter events. This past Thursday, we met up at Mission Taqueria in Philadelphia to taco 'bout it. We invited local 16 members representing designers, project managers, educators, fabricators and students all participated to join us for an intimate dinner and conversation about what's next in our industry and the challenges we see ahead. Dinner attendees were invited to contribute questions for the evenings discussion. As the courses flowed we dove into topics which included: How to work better across industries? What do you look for in the talent you hire? How do we each fit into the design world? The conversation was honest and open and relevant to all that attended. Thank you to our members who made this event such a success — your thoughtful insight and participation was key. We are looking forward to hosting again and hearing from our other members who couldn’t attend this month. We would like to again thank L&H Companies, our 2018 annual sponsor, for helping us to kick-off this series. 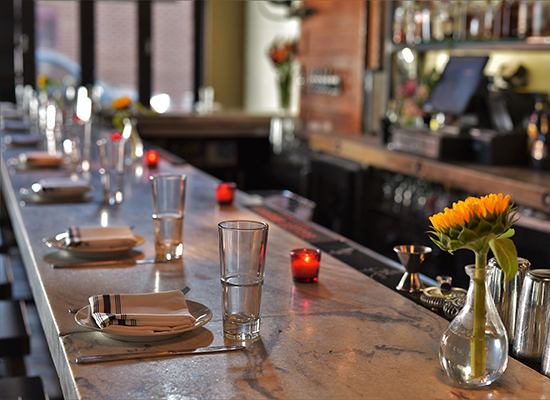 Join us for an intimate dinner and conversation about what's next in our industry and the challenges we see ahead. We look forward to lively discussion and good cross-disciplinary perspectives, over delicious food and drink. Space is limited. RSVP as soon as possible to reserve your seat at the table. 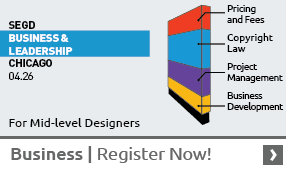 We aim to get even representation from designers, projects managers, fabricators, educators, students etc. Click Here for tickets. Thank you to L&H Companies, our 2018 annual sponsor for allowing us to kick-off this series.